With the exception of Game For A Laugh, television producers struggled to come up with any major Saturday night hits during 1981. The demise of The Generation Game at the end of the year was symptomatic of the fact that significant changes were pending, and ITV was continuing to explore how much talent could be transitioned from working men’s clubs onto primetime Saturday nights. 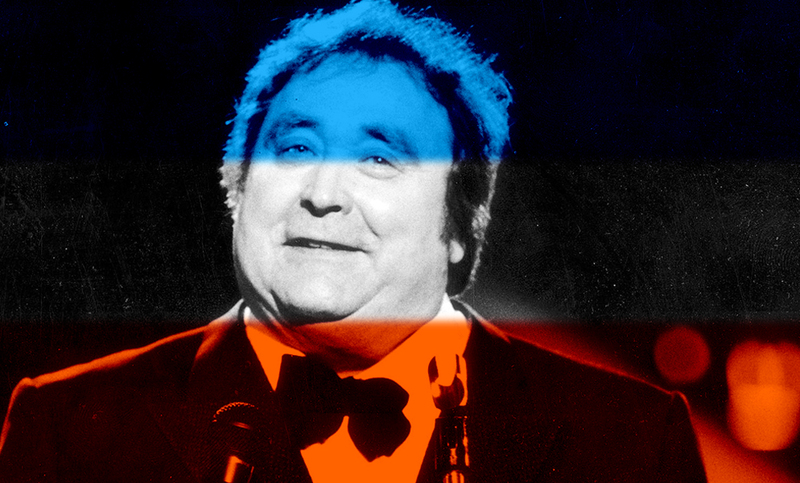 Southern Television’s Under Manning was an attempt to re-brand notorious stand-up, Bernard Manning, as a game show host. He initially turned it down. “I said I was a stand-up comic and didn’t want to venture into something I felt I didn’t know about,” recalls Manning. “So many people become jacks of all trades and masters of none. Let’s face it, whatever else they do, Terry Wogan is a disc jockey and Bruce Forsyth is a dancer. Forsyth learned to dance at 12 and finished at three o’clock”. Under Manning was based on the American quiz show, You Bet Your Life and it was after viewing a few episodes that Manning eventually agreed to front Southern Television’s version. “I thought I could it better,” he said at the time, adding “I’m never stuck for a word so it’s just up my street. I’m still aggressive and I’m still handing out the insults. People love it”. The programme sought to uncover British eccentrics and have them take part in a quiz to win the “Bernard Under Manning” (or BUM for short) award. In actual fact, the quiz show element of the programme wasn’t handled by Manning, but by Charles Collingwood (later of Telly Addicts fame). The northern comic’s involvement was limited to what he did best – interacting with the public. During the course of the programme’s single series we were introduced to an ex-army colonel who hung upside down while playing a drum and mouth organ, a 21-year-old man who played the penny whistle through his nose and a woman who fed toast to her horse each morning at five o’clock. Broadcast at 5.05pm the series remains a Saturday night oddity, achieving little for Manning or Southern. A more successful marriage of Saturday night television and northern comedy arrived courtesy of Johnny Hamp’s The Video Entertainers. Hamp had already established a track record of bringing variety acts to Saturday nights with the mid-1970s series The Wheeltappers and Shunters Social Club, and this latest enterprise was a simplification of that programme’s format. Hamp recalls that early episodes of The Video Entertainers would begin with him standing in front of a television set introducing performers that would then be “transmitted” to us via that same set. The Video Entertainers was a meaningless title, with Hamp electing to use the word “video” because it implied cutting-edge technology. 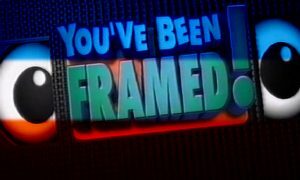 Broadcast at 6.35pm, the programme was sandwiched between two new LWT game shows, The Pyramid Game and Punchlines and is best remembered today (by Hamp at least) as the programme that brought the world Lisa Stansfield. Over at the BBC, 1981 saw a re-shuffling of the Saturday evening pack as some old programmes departed and newer ones established themselves. Juliet Bravo was a winning combination of police investigation and countryside encounters, while The Dukes of Hazzard found their way to British television for the first time on 3 January. The Paul Daniels Magic Show – although broadcast on a fortnightly basis – was now part of the establishment. However, just like Hamp, Daniels was facing up to the realities of the video age. “I met somebody with a video who was stopping frames all the way through an American magic show, finding out the conjuror’s secrets,” he recalls. This revelation alarmed Daniels and he removed all tricks that relied upon speed of movement from his act. However, his programme still came under scrutiny and an act on his 10 October show involving the manhandling of alligators attracted the public’s ire. The mock hypnosis of the alligators was described by readers of Radio Times as “tasteless and horrifying,” and series producer John Fisher was forced to concede something of the act’s illusion: “at no point was hypnosis used … the natural lethargy of the beasts in question is used by the presenter of the act to suggest that he does possess this skill”. This small matter aside, the series played out relatively successfully at 8pm throughout the autumn. Of greater concern to viewers than the treatment of live animals on The Paul Daniels Magic Show was the BBC’s plans for one of its longest running Saturday night shows. “I read in the press recently that the controller of BBC1 has decided to move Doctor Who from Saturday night to a new twice-weekly spot on weekdays when the series returns in January,” wrote a disgruntled Stephen Poppitt. “I want to express my disgust at this. I’ve never understood the BBC’s capacity to generate change for the sake of it. Doctor Who is a successful Saturday-night programme so why move it?” Having been more or less ensconced in the early evening Saturday line-up since its inception in 1963, the change was difficult to understand. Was there a connection between the decision to cancel The Generation Game and to move Doctor Who? If not, then would the BBC have still taken the TARDIS out of Saturday nights had they been aware of the impending demise of Grayson’s show? The removal of Doctor Who from its customary slot subjected the programme to the kind of scrutiny that would blight Game For A Laugh when it shifted to Sunday nights. Both programmes benefited from an initial improvement in ratings, but the audience’s expectation of television broadcast on the other six nights of the week, didn’t suit either series. The eventual demise of Doctor Who (which took a further seven years) began with this decision. Another BBC Saturday night institution changed too. 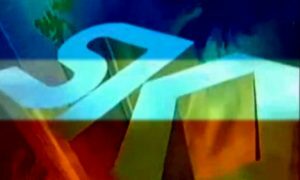 Parkinson (which celebrated its 300th show on 28 February 1981) had, just a couple of years earlier, increased its weekly output from one to two editions. Accusations that the programme was growing stale were refuted by the producer, John Fisher, citing in November 1980 that “since the programme went twice-weekly at the beginning of last year, as many as two-thirds of the guests have been faces fresh to Parkinson”. The host himself made much play of the programme’s ability to produce “great moments,” claiming that recent interviews with Barbara Woodhouse, Diana Rigg (confessing a weakness for babies’ bottoms) and Dirk Bogarde had contributed much to the sum total of human happiness on Saturday nights. Nonetheless, having run for 10 years, it was inevitable that Parkinson’s particular brand of interviewing would eventually pall. In 1981, perhaps BBC’s entire Saturday evening output had. As with ITV, the solution to the BBC’s Saturday night ennui would rely upon the general public and a killer format. ITV though, had learned from Game For A Laugh how to fend off the corporation’s biggest hitters. Consequently, as 1982 began, the battle for Saturday night viewers was to become ever more intense. Actually the Dukes of Hazzard premiered on BBC One on Saturday night in January 1979 and the second series was moved to Monday nights. It was part of a trend for imported series aimed at a younger audience on Saturdays in the 1979-82 period as ITV scored considerable success with CHiPs, Buck Rogers and The Fall Guy, and the BBC also showed Wonder Woman and The Nancy Drew Mysteries. The more to weekdays for Dr Who was prompted by Buck Rogers getting double the ratings when shown in overlapping timeslots. @ Richard 16378, the last Tom Baker series was a bit below par and his new companions were weak compared with their predecessors. The move did see the first Peter Davidson series pull in 10 million viewers and help BBC1 on their weakest night, but the later series seemed to fall back. However, 1981 was a watershed year for BBC1 on Saturdays. Mike Yarwood made his last series for them, The Generation Game was cancelled due to falling ratings against Game For A Laugh, Parkinson announced his move to ITV, and Doctor Who being moved meant the mainstays of the seventies schedule were all gone and BBC1 would see a huge challenge from ITV on Saturday nights for most of the eighties.